Robax Platinum is a type of muscle relaxant that is made of a combination of two different medications. It contains methocarbamol and ibuprofen. This over the counter product is used for pain relief from muscle spasms in the body, such as those linked to back pain, sprains and strains, and from neck muscle tension. Methocarbamol is one of the two drugs in Robax Platinum. It is the muscle relaxant in the product. This type of drug eases muscle spasms, which can be very painful. This type of ingredient helps to target one of the two sources of pain most common in back and neck strains, sprains and tension. Ibuprofen is the second drug in Robax Platinum. This medication doesn’t have anything to do with the muscle spasms. Instead, it is part of a class of drugs called non-steroidal anti-inflammatory drugs (NSAIDs). As such, it reduces inflammation and, therefore pain caused by that inflammation. 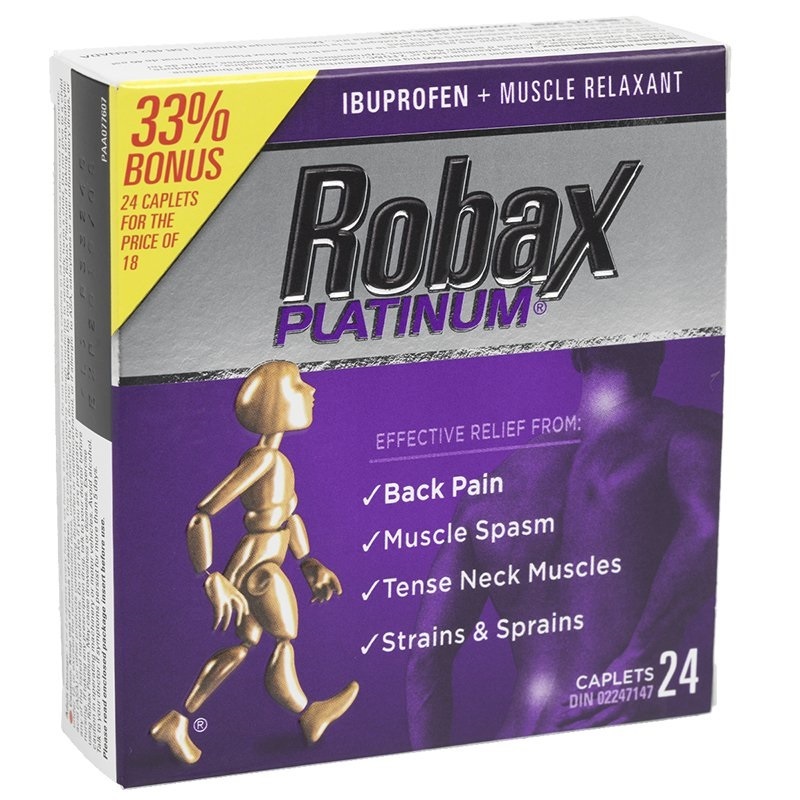 The ibuprofen’s painkilling effects are meant to help further improve the painkilling benefits of Robax Platinum by going beyond muscle relaxing and adding anti-inflammatory advantages as well. Robax Platinum contains 500 milligrams of methocarbamol and 200 mg of ibuprofen. According to the package instructions, it is recommended for use by healthy adults or children over the age of 12 years old. 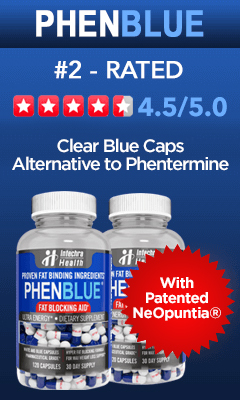 To use it properly, the recommended dose on the package is 1 to 2 caplets every 4 to 6 hours or as directed by a physician. 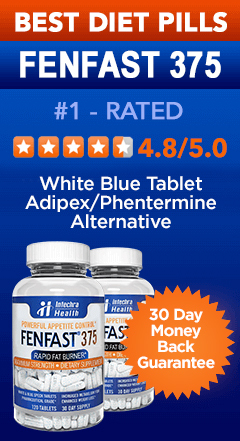 It is typically recommended that users start with the minimum dose to find out how they react to this medication. From there, the dose should be increased to 2 caplets every 4 to 6 hours only if needed. No more than 6 caplets should be taken within any 24 hour period. If symptoms continue to last beyond 5 days, discontinue use and consult a doctor. There are many different potential factors that can alter the amount of medication needed in order to be safely effective. 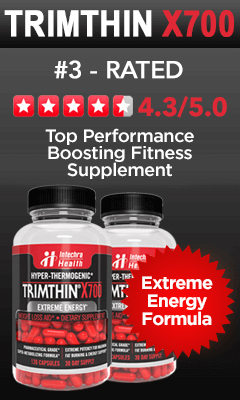 Users should use the lowest possible dose for the shortest possible length of time. Change this strategy only under direct instructions from a doctor. If you miss a typical dose of Robax Platinum, simply skip it. Do not double your dose after having missed one. If you take too much of this product, contact your local poison control or emergency medical assistance immediately.